In his state of the city address this year, Mayor Ben Walsh said Syracuse's best days aren't just around the corner, but they are in reach. The future of interstate 81, the creation of Syracuse Surge and new leadership has positioned 2019 to be a year of big changes for the Syracuse area. On this episode of City Limits Talk, Chris Bolt and Katie Zilcosky sit down with Mayor Ben Walsh and his team to discuss how they plan to achieve their goals. 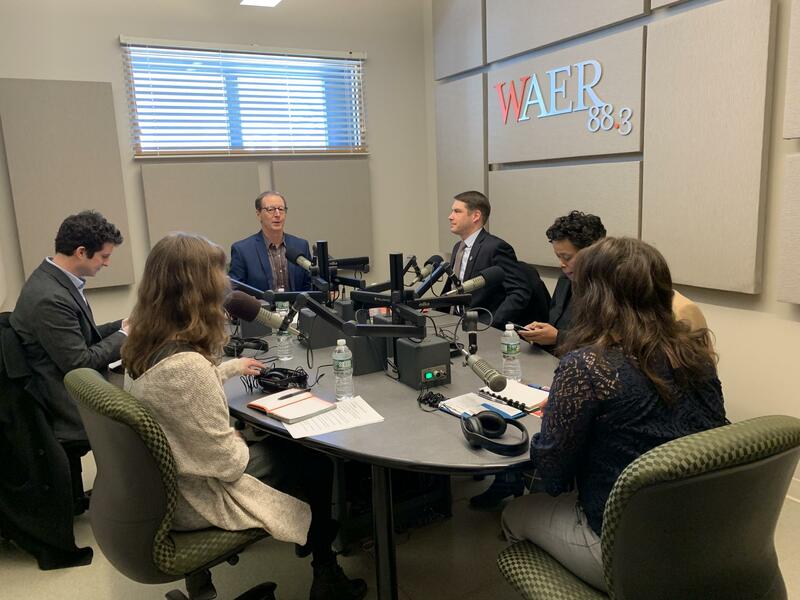 City Limits' Chris Bolt and Katie Zilcosky are joined by Syracuse Mayor Ben Walsh and his team to discuss progress being made to alleviate poverty. The Greater Syracuse HOPE Initiative has been working to make a difference in Syracuse’s poverty problem. Last year, the organization asked the community what programs they think would make an impact. From that community input, HOPE chose eleven proposals and has spent the last year developing them. City Limits’ Katie Zilcosky sat down with Greater Syracuse HOPE’s Executive Director to talk about what changes 2018 brought to Syracuse and what is still to come. Katie Zilcoksy looks back at the last year of progress battling the poverty crisis in Syracuse.